Valletta started to use the ball with executed runs in the first fifteen minutes of the first half and their efforts were rewarded thanks to a thunderous try scored by Marvin McLean. 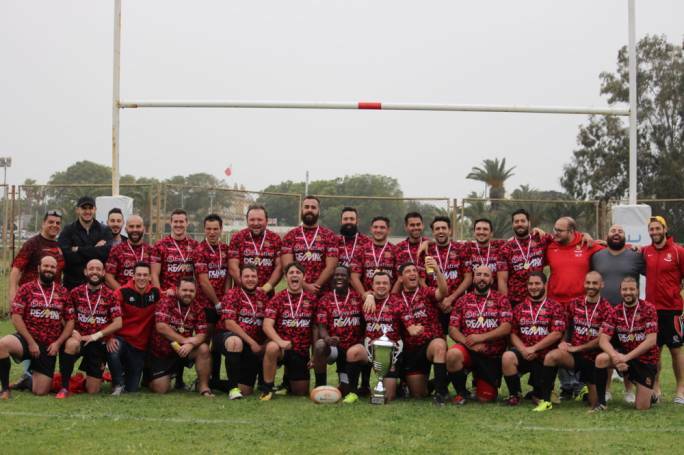 Neville Borg converted the try and Stompers found themselves under pressure because a win was a must for the current cup holders to stay in contention for a place in this year’s Med Bank Cup. Whilst Valletta were using different options in their back line and forwards, Stompers did not manage to to find their usual rhytmn and Valletta were punishing Stompers’ ball passing mistakes by exerting territorial pressure. Valletta’s McLean continued to cause havoc in Stompers defence and were close to scoring a second try had McLean managed to control his darting runs in the Stompers’ backline. 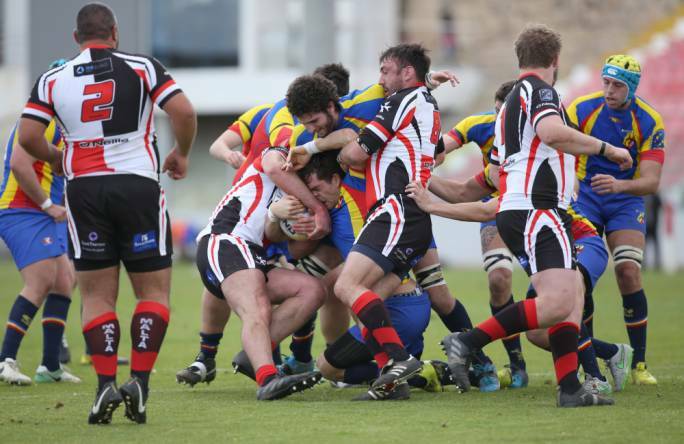 Sensing that Valletta were gaining confidence,Stompers stalwart scrum half succeeded in scoring Stompers’ first try converted by Malcolm Attard. From then onwards Stompers prefered to keep ball possession and their game plan was simple – tire out Valletta’s pack in order to produce the required points to enable them obtain the expected win. Meanwhile rain continued to pour continuouslyat Marsa but it did not deter Stompers scoring a second try scored and converted by Malcolm Attard. By the end of the first half Stompers were leading Valletta by a meagre five points and it looked like Valletta could continue to foil Stompers’ efforts in the second half. Stompers had other ideas and from the word go, Valletta stood no chance to stop them and their charismatic captain Malcolm Attard transformed the match in favour of the cup holders. 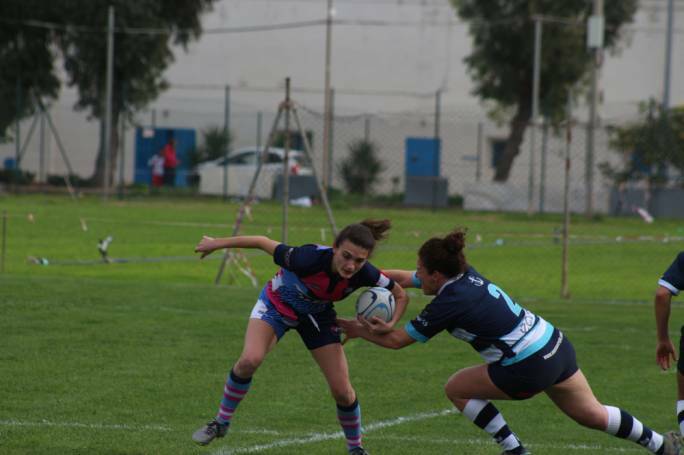 With the wind blowing in Stompers favour, Stompers started to click and their backline started to punish Valletta by scoring successive tries. Two tries by Matthew Camilleri and interesting prospect Alex Brookes and a try a piece by Barry Sullivan, Peter Bradley and Guilliame Boulais completely sealed victory in Stompers’ favour. Valletta’s misery was compounded by Malcolm Attard’s precise conversions scoring a total of six kicks out of nine. Valletta looked dejected in the second part of the match and were not in a position to maintain the same level of performance like in the first half. Much of the credit goes to Stompers deadly cocktail using their forwards and backs as one unit and such win could prove to be a crucial factor to turnaround their fortunes in the final sprint for the championship and the Med Bank Cup. Valletta’s present performances are a good omen for this club that has improved by acres compared to their negative performances in their previous outings in the championship.